This is a short rogues’ gallery of bad practice. It is short because we don’t want to dwell on negative examples, but it exists to offer a few warnings and to explain how problems are often caused. Most of the items have been mentioned elsewhere in advice on what to avoid, or cautions of one kind or another. I think they are worth second mention in a different context. What are the most common causes of bad writing? Well, the fact is that many people are just not used to expressing themselves on paper at all, and can’t be expected to write fluently. 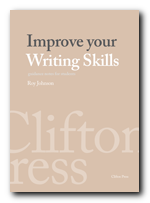 Writing well requires a considerable amount of skill. Apart from that however, the following bad habits and misunderstandings cause the most problems. They are not in any particular order. Some people may be stuck with just one of these weaknesses. In the worst cases they may be suffering with more than one. When we speak to each other, we don’t use grammatically complete sentences, careful constructions, and beautifully modulated syntax. Our utterances are often quite ungrammatical, abbreviated, and incomplete. We might say ‘She wasn’t there at home, it’ll be later when I’m going to call’. This would be acceptable in speech. But we would write ‘She was not at home, so I will call again later’. If these habits of speech are carried over into the written language the results are usually not very good. Remember that on the page we do not have any of the other parts of spoken communication to guide us. Tone of voice, accent, stress, and facial expression are absent. The two forms of communication may both use words as their basic element, but they are two different ‘codes’. in the written language, then you should stay fairly close to what is called ‘Standard English’. For most forms of writing, if you want to move away from this norm, you should know what it is you are doing, and you should have a good reason for doing so. It might be acceptable to use dialects and the irregularities of the spoken language if you were writing fiction or trying to illustrate someone’s character. In almost all types of formal writing however, your best plan is to stay close to the norm – if only because you will thereby communicate with the largest number of people. This is not to be proscriptive or fuddy-duddy. If you have the confidence and the skill, you can use whatever linguistic devices you wish – but then you would probably not be reading this book. Some people scatter marks of punctuation like confetti throughout their writing, making little distinction between the range of devices available. Yet if it is not used accurately and consistently, this creates an unsettling effect. The sense of a statement can be rendered ambiguous or obscure. Reading can become like hacking your way through a linguistic jungle. Remember that commas, semicolons, and colons are used to create pauses of different length in the grammar and the sense of a statement (see Punctuation). the use of the comma to string together statements which are in fact grammatically separate. They might be independent sentences, or (more usually) notes or brief ‘thoughts’. These are separate statements, and should be treated as such. The first comma here should be a full stop (followed by a capital letter) and the second a colon. The other extreme of the same problem is too little punctuation. This usually has the effect of leaving readers disoriented. We are not sure where one clause ends and the next begins. Unless there is great pressure to continue, we rapidly tire of trying to make sense of writing which has no stress or grammatical indicators. Let’s look at an example used elsewhere. It isn’t a particularly long sentence, but the absence of any punctuation makes it very difficult to understand at first reading. Manchester has a strong objective to be widely recognized as a fully accessible city, and energetically supports the overall approach of the Action Programme. The council might have a ‘strong ambition’; it might have these goals as its objective; but it cannot have a ‘strong objective’, because the term ‘objective’ is an abstract noun which cannot be qualified by ‘strong’. Long sentences should generally be avoided – unless you have very good control of grammar and syntax. This is a very common problem for beginners. Some people start out on their subject, add qualifying clauses, explanations, or digressions of some kind, then seem to forget where they have come from. Their sentences drift grammatically and usually become difficult to understand. If we contrast the past situation where although a doctor may not have been able to cure a patient, he would have visited the patient regularly giving emotional support; with a situation that might occur today, such as the impersonal treatment of a patient using highly sophisticated technology, it could be argued that this transition has produced a less humane or compassionate system. The Programme is of vital importance, and would assist in creating a significant improvement in the quality of life of disabled people of all ages, not least as access to transport is a key requirement in education and employment, as well as for social, leisure, health, shopping and other activities. It starts with the active verb is then switches to the conditional ‘would’; the three ‘of’s in quick succession are clumsy; and ‘not least as’ [which should be ‘because’] is not properly paralleled in ‘as well as’. Like most of the examples we have looked at, it would be improved if it were split into two separate sentences. Some people use writing as a vehicle to ‘impress’ others. Rather than make direct statements they use elaborate constructions and wordy phrases in an attempt to appear very literary or clever. These attempts rarely succeed because writing does reveal its author’s ‘style’. An insincere purpose will show through – as the following example should illustrate. One would hesitate, however, to sip from the same poisoned chalice as those who would speciously crusade the assertion that literature is quintessentially socially functional. Pose the following interrogative: Would Dante, Shakespeare, or Milton, from their peerless pinnacles, have sullied their art, prostituted the muse which their endeavours had enthroned, by indicating something as trivial, as unworthy, as a social purpose? The art of such as these argues another view; that at the heart of all great creative achievement lies a self-justifying, eternally fathomless and sacred mystery. By their very nature cabarets tend to be a bit of a hit and miss affair. And Manchester’s own Downtown Cabaret is ample proof of that. When it was good it was good and when it was bad it was awful. Holding this curate’s egg together was John Keswick acting as compere and keeping the hotch-potch of sketches and songs running along smoothly. And his professionalism shone through as he kept his hand on the tiller and steered the show through a difficult audience with his own brand of witticism. Local playwright Alan Chivers had previously worked like a Trojan and managed to marshall the talents of a bevy of Manchester’s rising stars. What then are the cures for bad writing? There are essentially two solutions. One is simply to take more care, and subject what you write to detailed scrutiny. 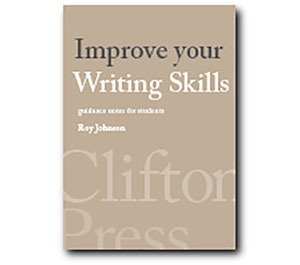 If you are in any doubt at all about something you have written, be prepared to change it. If the meaning is ambiguous or cloudy to you, it will almost certainly be so to somebody else. You might ask a tolerant friend to read over what you have written. Check that it makes sense. The other solution is to make yourself more aware of the language and rhythms of good writing. Read the work of those who are known to write well. Absorb the syntax, the cadences, and the texture of good prose.